Chanarion is currently studying Public Health in the University of Washington and she went to Nigeria in June to take part in our Medical MOT Program. She also wanted to see a different culture. Read below about her experience.
" My first exposure to Nigeria was enriched with the spirits and characters of the people living in the Ogidi village. As an American public health student, we study and read case studies and examine data regarding African village people, but to actually interact with those same people who were only statistics in our minds was a life-changing experience. Even though the village people of Ogidi lack essential amenities and have resource constraints, they find joy in life and are content, but not complacent. These are people that want better and will take the necessary steps to progress. Never have I witnessed such a high-level of oneness and unity among a group of people. 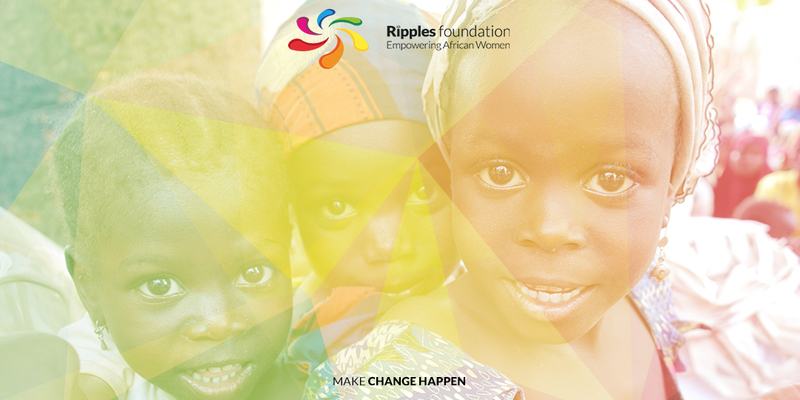 With the occurrence of Ripples-sponsored Medical Outreach Program and the Ogidi Yam Festival, community support and community involvement were in full effect. With this oneness, no disease, sickness, financial constraint or amount of corruption can overtake this society. This oneness mentality will strengthen generations to come. I have learned that when working with any population to improve health, you must build a relationship with the people- you build a certain degree of trust and feed their needs, not your personal wants. For the people of the Ogidi village to want greater access to healthcare, this will contribute to the longevity of not only the Medical MOT program but the health facility that is currently being completed. Having that community involvement and support will contribute to the sustainability and impact of any program. Key players contributed to the success of the Medical MOT program: the chief, prince, community leaders, local doctors and nurses and even the youth. With the community leaders displaying their full support, this indicates that the health of their people is a priority and they will do everything in their power to improve their citizens’ quality of lives." 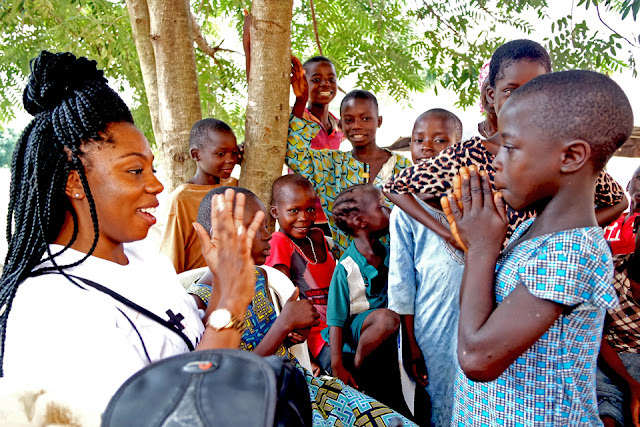 "The highlight of my week-long stay in the Ogidi village was interacting with the young children during the Medical Outreach. I was quietly sitting under a tree and I noticed that a group of kids started gravitating towards me. So of course being the person I am, I sparked a conversation with them. The conversation was a bit challenging since there was a language barrier but, with the help of Ms. Anne as my translator, the conversation led to the kids teaching me their language…which I failed at miserably. So I had the idea of playing a game, they’re kids after all- What child doesn’t love to play? First I taught them a hand game, referred to as “Slide,” and one by one, I taught the girls the sequence of hand movements involved in the game, as the other kids intensely focused on us, eagerly awaiting their turn. Then, we prepared to play one of their favorite games. We all formed one big circle and one young girl started singing the jingle, “Cinderella dressed in yellow…” and I instantly traveled back down memory lane. It came as a surprise to me that their game was in fact a game that was an all-time favorite among myself and friends in the neighborhood. It was a clear indication that this world is not as big as it seems. The spirits of these children can withstand any disparity they may face. I am optimistic about the progression of this village because it will be in the hands of these children, whom will continue the work that has been done and help the citizens of the Ogidi village reach optimal health. I appreciate and cherish the relationships that were built during my week of living in Ogidi. I commend the people of the Ogidi village and I thank them for their graciousness. You all are in my prayers. "